Waterloo, Ontario is a test bed for Lime electric scooters in Canada, but it seems like users aren’t following the city’s rules and are taking the scooters on joyrides. Similar to various bike share programs, Lime allows individuals to borrow an electric scooter to get around. The scooters can travel up to 24kph. Lime is based in San Fransisco and has notable success in the region, but the city of Waterloo is still nervous regarding the safety of these high-speed scooters that anyone can use. There’s a geofence designed contain the scooters, so they only work optimally on a five and a half kilometre stretch of the Laurel Trail area between the Waterloo Park Promenade and the David Johnston Research and Technology Park. Outside of the test zone, the scooters slow down to walking speeds. Stopping the scooters outside of the fence isn’t on the city’s mind since its unsafe to halt them remotely while people are riding, says Ryan Mousey, a Waterloo economic development advisor. Instead of locking the scooters down, the town wants to fine users who take the scooters out of the test zone when the program resumes in the spring. Waterloo residents are reporting to The Record that the scooters are making outside of the geofence and into other parts of town. 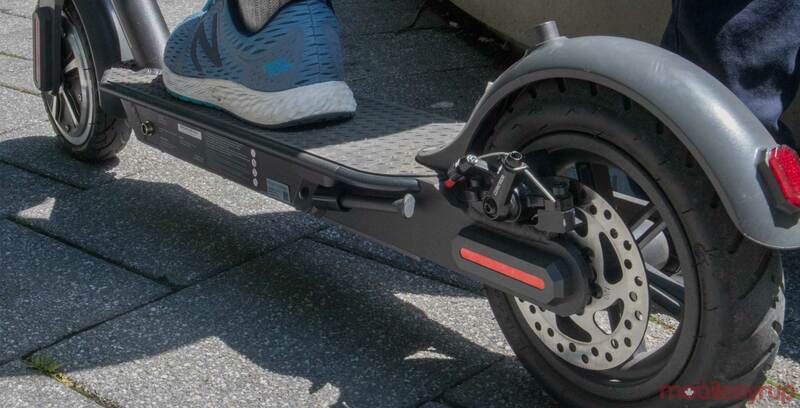 Even though this isn’t a specific part of the test, having scooters in inconvenient places as a side-effect does introduce residents to what life with a widespread scooter share service would be like. In San Fransico, users often leave their scooters on the side of the road when they get to their destination. Other users, nicknamed ‘Juicers,’ can take them home and charge them for a small payment. If Lime launches in full force in the city, Waterloo residents are likely going to have to get used to dealing with scooters all over town once the test moves past its 100-scooter limit. The city wants to add more parking along the route so users don’t have to take the scooters off the path to get back to their vehicle. This would likely only solve the problem while the test is running and not once the scooters move past this beta phase.